The Chennai Super Kings have had a dream start to the tournament in IPL 2019 as they have won 7 out of their first 8 matches and hence have 14 points. So far in the history of the IPL, there have only been two teams that have managed to end up with 14 points after the first 8 matches. The first was Mumbai Indians in 2010 and the second was the Kings XI Punjab in 2014. The astonishing coincidence between the two teams that have done it in the past is that, in spite of having such a great start, both teams have managed to finish runners up in the tournament. Will that trend continue and will CSK also finish second? Or will CSK manage to break this trend as they always have? This page contains news relating to various facts and events. The views are generally about current affiars and general topics in diversified areas such as political, international, national, and regional issues, sports, health, travel, lifestyle, technology and business. People having similar interets on the above topics will find this page useful. 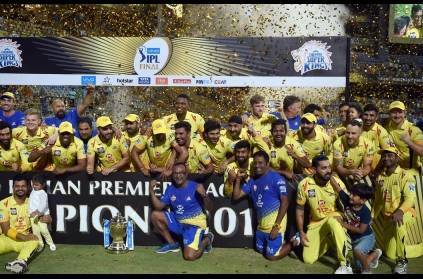 CSK win 7 out of 8 games and join MI, KXIP in the same list | Sports News.